Billions of people around the world believe in Jesus, yet there are some people (especially on the internet) who say that Jesus never really lived and the stories we have about him are simply legends. 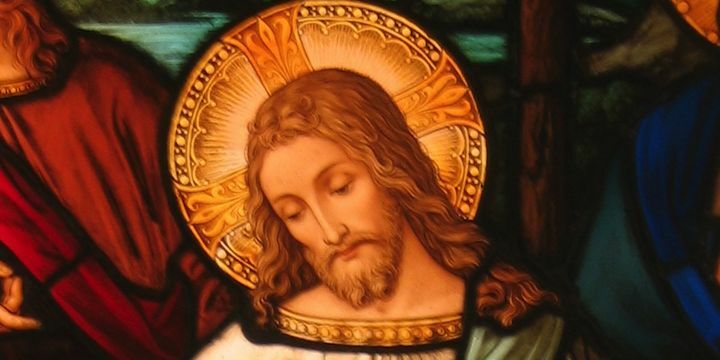 Can we know the truth about whether Jesus lived or not? But the expert historians have concluded differently. They say that,whatever we may believe about whether Jesus was the son of God, he was indeed a real historical person. here’s what they say …. in The Cambridge History of Judaism Vol 3. Note: We need to be clear what the historians are saying, and not misunderstand. They are not necessarily endorsing christian belief about Jesus – some of the above historians are christians, some are not. They are simply saying that a person recognisable as the Jesus of the gospels truly lived, taught, gained a reputation as a miracle-worker and was executed – for more on what they conclude we can know about Jesus, see Jesus in history. Why have the historians concluded this? Historians draw their conclusions based on the historical evidence – e.g. whether we have independent sources, whether the documents we have were written close to the events and whether they are consistent with other known history and culture. The New Testament satisfies these requirements better than most other ancient documents (see Are the gospels historical?) – it includes a number of independent sources, the gospels were written within a generation of the events, and archaeology and other history generally confirms the New Testament. The Apostle Paul did not say a lot about Jesus (an argument sometimes used by sceptics, but this is an argument from silence and therefore invalid without positive evidence). But Paul did know about Jesus, and was unlikely to write a lot of historical detail in letters. The gospels are too early for invention (too many people would have remembered the real facts), and their accurate references to Palestinian geography would not have been possible if the stories were invented later. The development of the early christians’ understanding of Jesus which can be seen in the gospels (another argument sometimes used) is not sufficient to justify the belief that they were inventions. No early opponents of Christianity, whether pagan or Jew, ever denied that Jesus truly lived, or even questioned it. Scholars are generally agreed that references to Jesus in the Roman historian Tacitus (early second century) and the Jewish historian Josephus (late first century) are both genuine, though some parts of Josephus appear to be later additions. Most arguments that Jesus wasn’t a historical figure have come from people opposed to Christianity and thus not unbiased, whereas scholars of all viewpoints from atheists to Christians accept the historicity of Jesus. Proponents of the mythical Jesus view have not been able to offer any credible hypothesis that explains the stories of Jesus and the birth of Christianity. The gospels and Paul’s writings are extremely useful independent historical sources. Even though they were written by people with a particular viewpoint, they cannot be discounted because most ancient sources had viewpoints, and historians have learnt to discount biases. Likewise, any discrepancies in the stories don’t take away from the significant agreement on the main facts. Historians can discern at least seven different sources behind these documents, some clearly based on earlier sources in Aramaic (the language Jesus spoke), some dated within a few years of his life. This is unprecedented in ancient history. Other sources (other books in the New Testament such as Acts, Hebrews and Revelation, non christian historians Josephus and Tacitus, and several christians writing in the early second century, Papias, Ignatius and Clement) provide corroboration. Paul, who lived at the time of Jesus, didn’t know Jesus (as far as we know), but knew one of his closest followers, Peter, and his brother, James. As Ehrman pithily says: If Jesus never lived, you would think that his brother would know about it. No Jew would invent a story of a crucified Messiah, for this was a scandal to a Jew. Only the historical fact that Jesus truly lived and was crucified can explain this. Those who believe Jesus was a myth often resort to self-serving methodology when confronted with inconvenient facts. Many attempt to gloss over textual evidence against their theories by claiming the inconvenient text is a copyist’s interpolation. In Jesus of Nazareth, historian Maurice Casey is adamant that professional scholars regard the question of Jesus’ existence to have been settled years ago, and quotes the findings of EP Sanders in The Historical Figure of Jesus in support (see Jesus in history). Casey says that the gospels are very good sources by ancient history standards and analysis shows they reflect first century Jewish culture and language. Luke was, he says an outstanding historian by ancient standards . He says Paul’s letters clearly support the conclusion that Jesus was a real person, and claims to the contrary reveal a poor understanding of historical method. He argues that those (generally non-experts) who think otherwise base their conclusions on ludicrously late dates for the Gospels , incorrect comparisons with pagan myths, tampering with ancient texts to remove inconvenient evidence , poor application of accepted historical methods and disregard for the work of major scholars in the field. People have their beliefs and disbeliefs, and some on either side of the question may allow these to interfere with their judgment. It is safest to learn from the experts. Some people believe we should reject everything that cannot be absolutely proven, but this is not appropriate for a study of history, where we can obtain probability, but not certainty (see below). But can we trust the historians? Some historians have their biases, but we can surely trust the scholars who are recognised and respected by their fellow historians – as are the scholars I have quoted above. Those who propose that Jesus didn’t exist have to claim some sort of conspiracy among thousands of scholars from reputable universities all over the western world. Can we know historical truth? We cannot directly observe the past, so history can only be known through writings that record what people say happened, and archaeology that supports these writings. Because different writers have different purposes, and because recording the objective truth may not have been among their purposes, historians have to compare the various accounts with each other and with archaeology, to determine what is consistent. They try to recognise, and discount, biases in the writings, and use methods to reduce the influence of their own opinions. Thus history can only describe what probably happened. Those of us who are not historians must rely on the findings of the consensus of historians. Note 1: I do not know of any qualified historian (out of probably thousands) working at a respected institution who concludes Jesus didn’t exist. I know of two historians who no longer work, or never worked, in a respected institution who believe Jesus was a myth or a fictional character. Bart Ehrman quote from The Infidel Guy Show. Michael Grant quote from “Jesus: an historian’s review of the gospels”. J Charlesworth quote from “Jesus Within Judaism”. NT Wright quote from the Guardian. Robert Van Voorst quote and information from “Jesus outside the New Testament”.